It is a method of finance that benefits both buyer and seller, and is often used as part of an overarching financing strategy. As with any type of finance there are inherent risks attached, but these must be weighed against the overall benefits that become available when you offer a financing arrangement to your buyer. How does seller finance work? Seller financing is a form of loan that you provide to the buyer of your business in order to facilitate the sales process. It works in a similar way to a bank loan, with the terms of the loan being officially documented in a legally-binding purchase agreement. The buyer generally makes a down payment, followed by monthly repayments at the agreed interest rate and over the timescale set down in the arrangement. You are able to repossess the business in the event of default, and there are other ways in which you can reduce your risks in lending. What are the benefits of seller financing for the sale of your business? How can you minimise the risks of seller financing? The risk that you take on in providing seller finance can be mitigated to some extent by charging a higher interest rate than other lenders. Ensuring robust due diligence with regard to your buyer’s financial position, their business background and likelihood of making a success of the business in the future, also helps to mitigate the risk of lending. Professional support is also clearly a vital factor in this process. Negotiating and setting down lending terms and conditions that suit your own needs, and making sure you have processes to fall back on should default occur, are also issues that you will need to discuss with expert advisers. Seller financing can be a vital component in the sale of your business, attracting greater interest and easing negotiations. For more information tailored to your individual situation, please contact one of the team at Selling My Business. 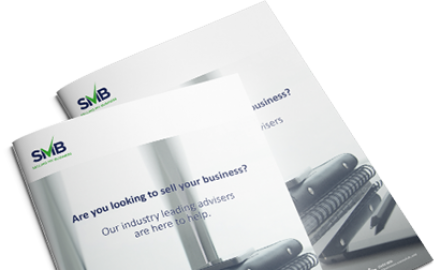 We are specialists in all aspects of selling a business, and will ensure you understand all your options when negotiating with potential buyers. Next Article: Can I claim entrepreneurs’ relief when selling my business? Previous Article: Why do I need a NDA when selling my business?